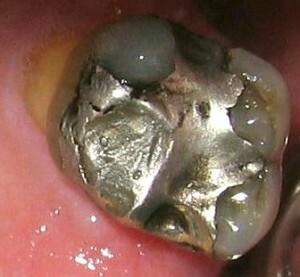 Have you ever wondered what an amalgam filling looks like inside? 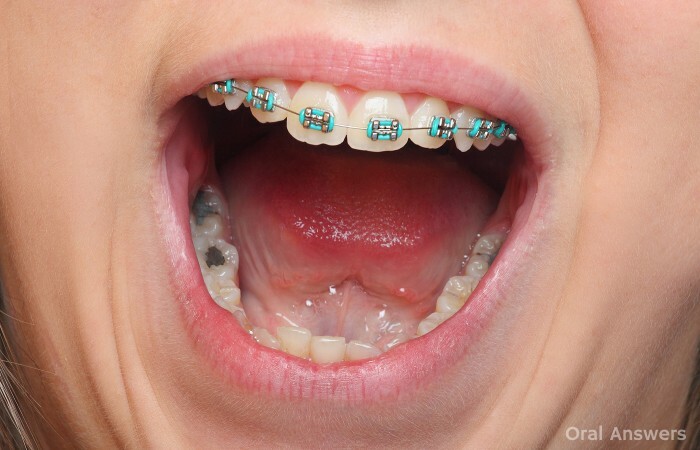 Many people question how a metal can be soft enough to be shaped into a tooth yet hard enough to endure the force of chewing and other abuse that occurs during its ten or more years in your mouth. Other people are curious about the amount of mercury contained in an amalgam filling…so let’s get some answers! 1 – Mercury Disc – Amalgam fillings are made up of about 50% mercury, and 50% metal powder. The mercury is sealed away in a plastic disc so that it doesn’t evaporate and contaminate the environment. 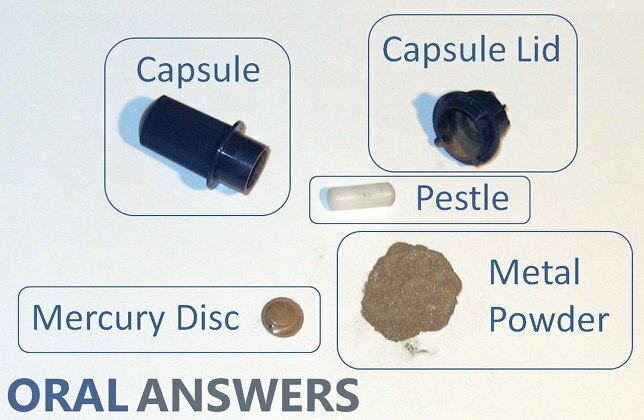 The mercury disc breaks open when the amalgam capsule gets mixed. 3 – Pestle – The pestle is simply a plastic rod. When the amalgam is mixed and vibrated quickly back and forth, the pestle breaks open the sealed mercury disc and helps to thoroughly mix the mercury with the metal powder to form a soft metallic mixture. While the amalgam is still soft, the dentist uses it to fill your cavities. 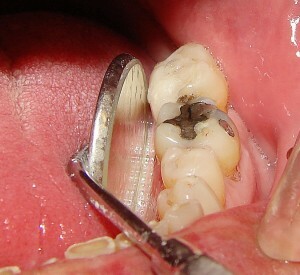 The amalgam begins to harden after a few minutes and eventually hardens into a filling that can withstand lots of force. As you can see, the formulation of amalgam is pretty simple: mercury and metal powder. Fortunately, modern amalgam capsules come pre-measured so that dentists don’t have to worry about mixing up mercury with other metals by hand. Do you have any questions about the contents of amalgam fillings? I’d love to hear your thoughts int he comments section below. Thanks for reading! Earlier this week, I was working with a patient who was having two gold crowns placed over some molars that had previously been restored with amalgam fillings. He said he had received the amalgam fillings about 30 years ago and they had recently broken, resulting in the need for the crowns. 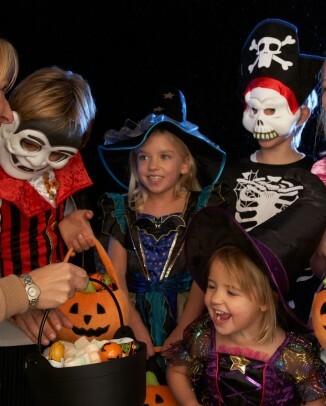 He asked if 30 years was a reasonable amount of time to expect the amalgam fillings to last. To be honest, it’s wonderful if an amalgam filling can last that long! 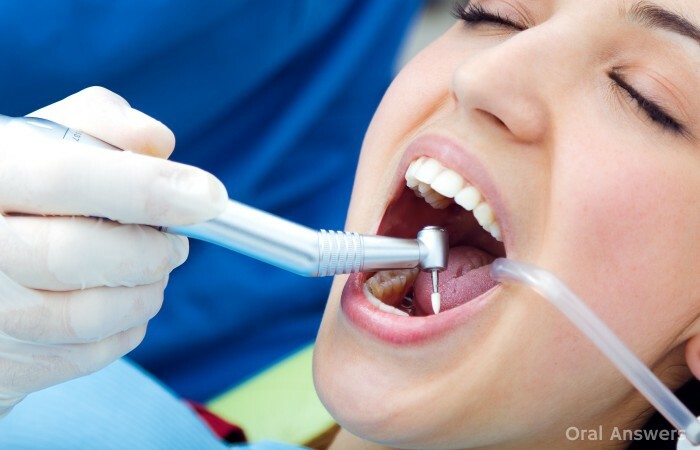 There have been quite a few studies that have tried to determine how long the “average” amalgam filling will last. One such study involved a single dentist in Belgium. The study followed 722 amalgam fillings that this dentist had placed between 1982 and 1999. 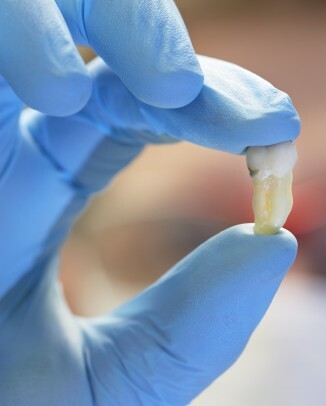 This study found that this dentist’s amalgam fillings had a mean lifetime of 12.8 years. 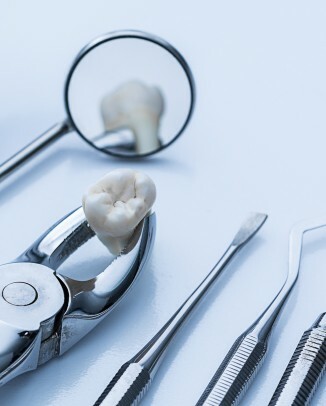 The three most frequent reasons for failure of this dentist’s fillings were the amalgam filling itself breaking, tooth decay developing under the filling, and the filled tooth weakening and breaking. 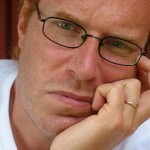 Another study involved 659 dentists in Finland. Finland is one of the many European countries that are phasing out amalgam restorations to focus on the more aesthetically-pleasing tooth-colored fillings. 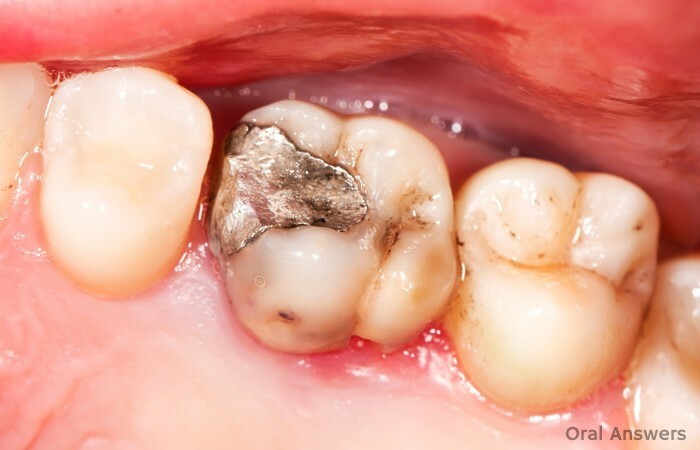 This study concluded that the silver-colored amalgam fillings lasted just under 12 years. Interestingly enough, both tooth-colored fillings included in this study, composite and glass-ionomer lasted less than five years, and less than four years, respectively. In 2002, a group of researchers scoured 16 electronic databases, and 36 dental journals to find all of the studies performed on the longevity of different types of restorations. They found 62 studies dealing with the lifetime of amalgam restorations. You can find a summary of their findings here. From these studies, they were able to compile lots of data. 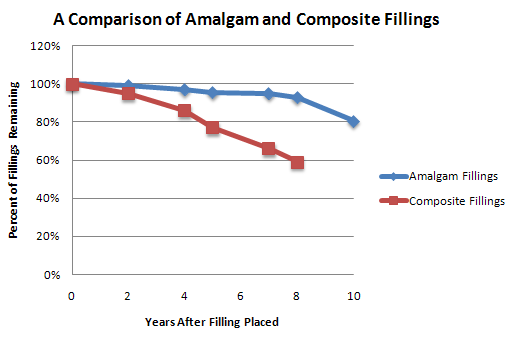 From this data, I put together the graph below which shows the estimate of the longevity of amalgam fillings. 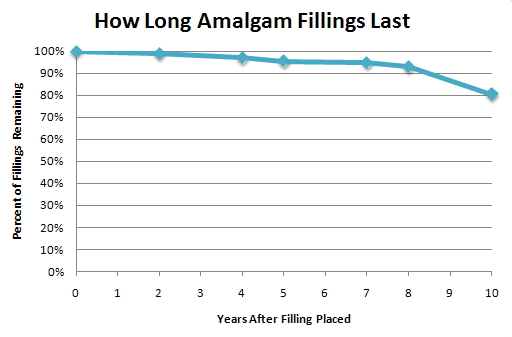 A graph showing the percentage of amalgam restorations still in existence for a given number of years after they were placed. As you can see in the above graph, roughly 80% of amalgam fillings are still in existence 10 years after they have been placed. 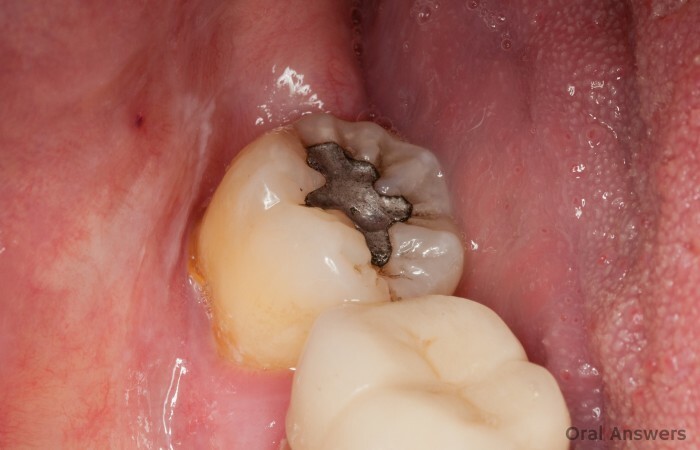 What is the Longest an Amalgam Filling Has Ever Lasted? The professor that taught our amalgam class in dental school last year claimed to have seen amalgam filings that have lasted well over 50 years. 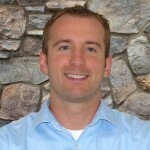 He believes that if amalgam fillings are well-placed they can last a lifetime. Perhaps there are amalgam fillings that have lasted even longer. If your amalgam filling lasts over 15 years, you should feel pretty good about it. Amalgam fillings seem to last longer than alternative materials because they consist of a metal alloy, which by nature is bacteriostatic. This means that it is very hard for the bacteria in your mouth to live around an amalgam filling because the metal makes them sick. This makes it harder for another cavity to develop under the amalgam filling, which helps the filling last longer. 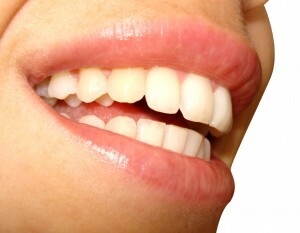 As a general rule, all fillings will last longer if they are taken care of with regular brushing and flossing. Do you have any good stories or experiences dealing with amalgam restorations? Please leave them in the comments!